We’re nearing the end of the summer season and that means it’s a great time to snag a deal on gear. One of REI’s biggest sales of the year, the Labor Day Sale is happening August 24 - September 3rd and includes some of our favorite backpacking, hiking, and camping gear. In addition to deep discounts, REI members also receive an extra 20% off one outlet item with coupon code: EXTRA20. Here's the gear we're most excited about in this year's big sale. Hope you enjoy! REI’s Magma Down Sleeping Bag (men’s and women’s) is at the top of our Best Sleeping Bags List due to its exceptional balance between weight, warmth, quality, and cost. And now the Magma is even cheaper! This is one of the best deals in the entire sale in our opinion. If you mostly rehydrate backcountry meals like we do, you’ll be hard-pressed to find a better deal than the Jetboil Flash. When it comes to boiling water quickly, the Flash lives up to its name, and costs less than some of Jetboil’s other systems. If you’re looking for simmer control and performance in low temperatures, the MiniMo or MicroMo are your best bet, but for an affordable, fast, and convenient boil in most conditions, it’s tough to beat the Flash. We think the Tungsten UL2 and UL3 are two of the most underrated tents on our best backpacking tents list. They’re lightweight, roomy, convenient, and very affordable (even more so now!). They do have asymmetrical vestibules for some reason (one is bigger than the other), but the design is still excellent. So if you’re looking for an exceptional deal on a great lightweight backpacking tent, this just might be your guy. The NEMO Tensor Sleeping Pad has become one of our go-to pads for back sleepers who prefer a rectangular shape. Though slightly heavier than the ultralight competition, they’re some of the most comfortable and quietest pads on the market and they make our list of Best Sleeping Pads. MSR is one of the most trusted brands in the water filtration market and all their filters are 25% off in this sale. Our two favorite models are the ultralight Trail Shot and burly Guardian, both of which make our Best Backpacking Water FIlters list due to their exceptional upsides. The recently updated Osprey Exos 48 (men’s) and Eja 48 (women’s) are extremely comfortable, lightweight backpacks with great all-around value and have been staples on our Best Lightweight Backpacks list for some time. Though we have some complaints with this year’s update to the pack - most notable being the removal of hip belt pockets - if comfort is your top priority, these packs are very tough to beat. REI’s Co-op Flash Insulated Pad is yet another standout piece of REI gear that competes with industry leaders at a much more affordable price. The Flash series employs a comfortable dimpled design, offers lightweight warmth, and makes our list of Best Sleeping Pads. Though not our top pad pick, the Flash is definitely an outstanding deal and still leads to a comfortable night's rest. The NEMO Hornet 2 is a great ultralight solo backpacking tent. It’s among the lightest semi-freestanding tents on the market, it’s easy to set up, has two doors, and it works well in nasty weather. The Hornet 2P is a very tight fit for two people, but as a single person shelter we consider it one of the best backpacking tents of 2018. Brooks Cascadias (men’s and women’s) have been wildly popular in the backpacking community and featured on CleverHiker’s Best Hiking Shoes list for a long time. They’re lightweight, comfortable, durable, and offer good traction. Brooks recently released the Cascadia 13's, so now's a great time to grab a deal on their previous model, which is still awesome. The REI Quarter Dome tent series is offered in 1P, 2P, and 3P. For two people, the Quarter Dome 2 is a solid lightweight backpacking tent with huge vestibules and nice pockets. It’s not necessarily our favorite backpacking tent, but it's still very good and does make our list of the best lightweight backpacking tents. And this sale certainly makes it an excellent deal. The lightweight (2 oz) and compact Katadyn BeFree Water Filter Bottle is a great tool for day hikes and quick backcountry trips. The soft bottles aren't super durable, so we don't take them on multi-day trips, but the BeFree is still a fast, compact, convenient, and ultralight filter that works well on the trail. If you're looking for a comfortable sleeping bag with a lot of space, the NEMO Disco 15 (men's) and Rave 15 (women's) are a great option. Both make our Best Sleeping Bags list for their roomy comfort. The downside to all that space is increased weight, so they're not our preferred backpacking bags, but their unique spoon shape and heat venting "thermo gills" leave a lot to love. REI Kingdom tents are great for car camping when you want a ton of space, durability, and weather protection. They're available in 4P, 6P, and 8P models, all of which pack down surprisingly small, are super spacious, and are sure to make your camping neighbors jealous. All Black Diamond trekking poles, lighting, and climbing gear is 25% off in this sale. We’re big fans of Black Diamond's Alpine Carbon Cork, Trail Ergo Cork, Distance Carbon Z-pole trekking poles, all of which make our best trekking poles list. Arc'Teryx is known for it's unmatched quality in outdoor gear, but also for its equally high prices. Well, this is your chance to score any Arc'Teryx item for 30% off (discount applied in cart). Our favorite Arc'Teryx gear tends to be their jackets, but all of their stuff is really high quality and will last for many years. Darn Tough offers some of our favorite socks on the market. They’re super comfortable and highly functional, but perhaps their greatest asset is their unconditional lifetime guarantee, no strings attached. If you wear them out, you get a new pair, and that's rad. We prefer low-cut running socks for our hiking trips (We wear trail running shoes, not boots) and the Balega Hidden Comfort and Ultralight No-Show socks are the best we’ve found yet. The Hidden Comfort socks breathe well, last a long time, and have a good amount of padding. They also have a thick lip on the heel of the sock so they won’t slip down into your shoe. Though super light and highly breathable, the Ultralight version do wear out quicker than the Hidden Comfort. The Kestrel & Kyte are a bit heavier than the backpacks we normally tend to hike with, but a couple of our friends really love their fit. If you’re in the market for a fairly lightweight backpack, but you want a bit more comfort, these backpacks just might be your jam. The Triton InstaStart 2-Burner is a great stove for car camping trips when you’ll want cooking capabilities for more complex meals. The design is simple, durable, and packs away easy, so now’s a good time to grab one on sale. Helinox Chair Zero weighs only 1 lb., making it light and compact enough to pack away on short backcountry trips. We rarely bring chairs on our ultralight trips, but if we're setting up a basecamp, or even just heading to the park, these lightweight and comfortable chairs are pretty awesome. The Helinox Table One pairs nicely with them as well. The ProLite Plus is among Therm-a-Rest's most popular designs of all time. Though slightly heavier and bulkier than the pads we normally backpack with, it's self-inflation system is very convenient and it's also quite durable and affordable. If you're looking for an affrodable sleeping bag that functions well for car camping trips or short backcountry jaunts, the Marmot Trestles Elite (men's) and (women's) is a great option. It's heavier and bulkier than the bags we prefer to backpack with, but it's a tough deal to beat, especially considering the extra discount. Salomon has long been a trusted brand in outdoor footwear and for good reason. 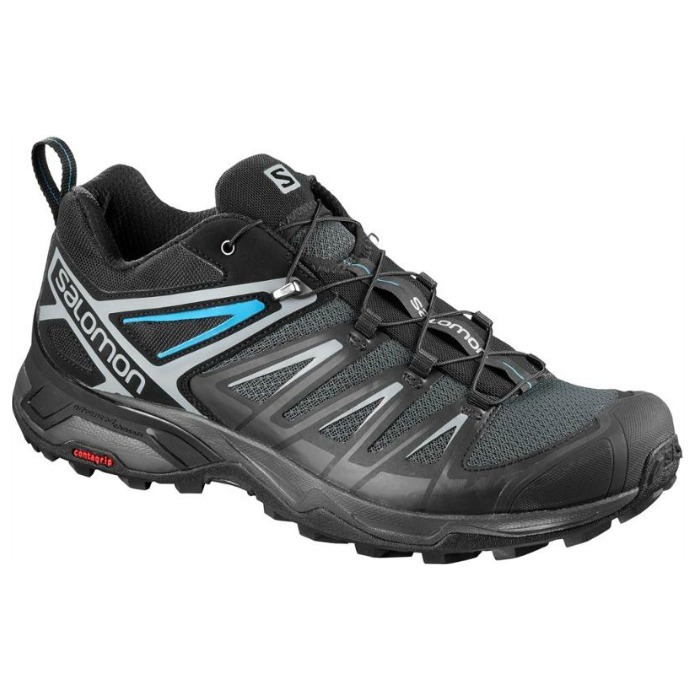 Though we often wear lightweight trail runners, when we opt for shoes or boots some of our favorites include the Salomon X Ultra 3 Low hiking shoes and the Salomon Quest 4D 3 GTX hiking boots. Both make our Best Hiking Shoes & Boots list. Highly versatile and functional, Buff Headwear can be used as a hat, scarf, headband, or bandana for sun protection and warmth. They’re offered in a wide variety of styles and are now 50% off while supplies last.